As we enter the post-genomic era, understanding the role and function of single or group of genes in the context of a whole functioning organism, has become paramount in terms of human health. Much of this work is being carried out in rodent models of diseases, requiring the use of in vivo non-invasive imaging techniques to study the animals. 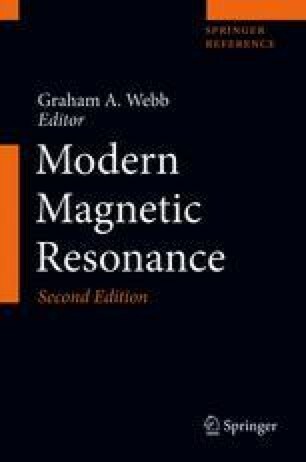 Here we review the use of magnetic resonance imaging (MRI) and multi-nuclear magnetic resonance spectroscopy (MRS) for the phenotypic characterization of the ever increasing numbers of murine models of health and disease. We describe the current MRI and MRS strategies being applied to the characterization of these models and point out potential pitfalls and limitations of the available techniques. Finally, we review the latest advances in MRI and MRS and their potential application to pre-clinical studies. The authors would like acknowledge the BBSRC, MRC, and EPSRC for financial support. Lener MS, Niciu MJ, Ballard ED, et al. Glutamate and Gamma-Aminobutyric Acid Systems in the Pathophysiology of Major Depression and Antidepressant Response to Ketamine. Biol Psychiatry. 2016. https://doi.org/10.1016/j.biopsych.2016.05.005. Durieux AMS, Fernandes C, Murphy D, et al. Targeting Glia with N-Acetylcysteine Modulates Brain Glutamate and Behaviors Relevant to Neurodevelopmental Disorders in C57BL/6J Mice. Front Behav Neurosci. 2015;9. https://doi.org/10.3389/fnbeh.2015.00343.